Biography: Blessings of Jesus Ministries is located in the town of Huzurnagar with a population of 80,000, only 5,000 of which are Christian. The ministry was started in June, 2003 with the desire to take the gospel to the unreached. The focus of the ministry is prayer and raising leaders for the next generation. The church has an active children's ministry which includes a summer children's camp. The youth go into the village and minister in the evenings. Ravikanth tells us, "We experience healings, tongues and all the spiritual gifts. 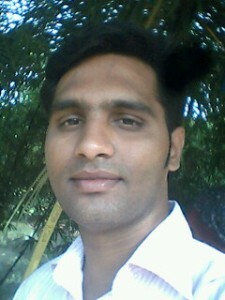 My passion is to save India for Christ." Strengths: Ravikanth is a gifted preacher, moves in all the gifts of the Spirit and enjoys leading worship and playing the drums.